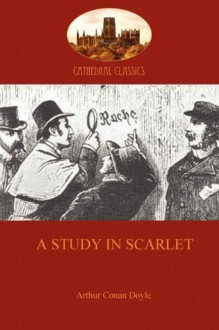 A Study in Scarlet was Sherlock Holmes' first outing into the literary world. Published in 1887 (after many rejections) it was an immediate success. Conan Doyle's quirky hero, with his cold deductive mind, violin playing and cocaine addiction, fascinated the reading public, and laid the foundation for the many Sherlock Holmes books and short stories that were to follow over the next three decades. In this first work, all the winning ingredient of a Holmes novel appear fully-formed: a murder, puzzling clues, evil villains, startling locations and an elegant, surprising solution provided in typical laconic style by the arch-sleuth himself.